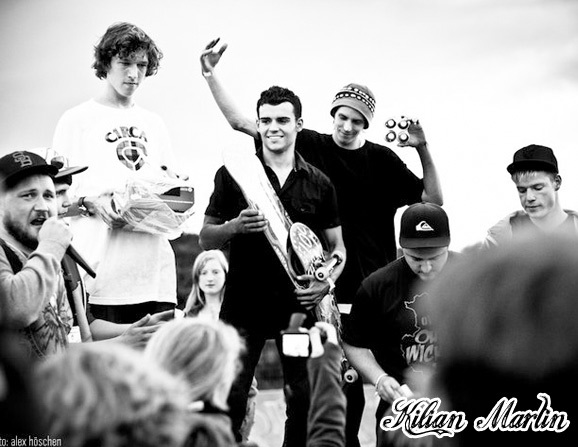 Kilian’s travels took him to Paderborn, (Germany) to compete in the one and only World Cup Freestyle event. Kilian dropped jaws and turned the heads of not only viewers, but judges as well, as he skated to first place at the Freestyle World Cup event in Paderborn, (Germany).As if that wasn’t enough, he also turned right around and grabbed himself 2nd place in the best trick street contest the day before. Kilian viajo a la ciudad de Paderborn (Alemania) para competir en la copa del mundo de Freestyle. Kilian puso en escena una gran ronda que encantó no solo al publico asistente al campeonato sino a los jueces tambien. Dicha ronda le llevo al primer puesto del Campeonato de la copa del mundo de Freestyle celebrada en Paderborn (Alemania).Por si no fuera suficiente Kilian se gano un 2º puesto en el Campeonato de mejor truco de street el dia anterior. 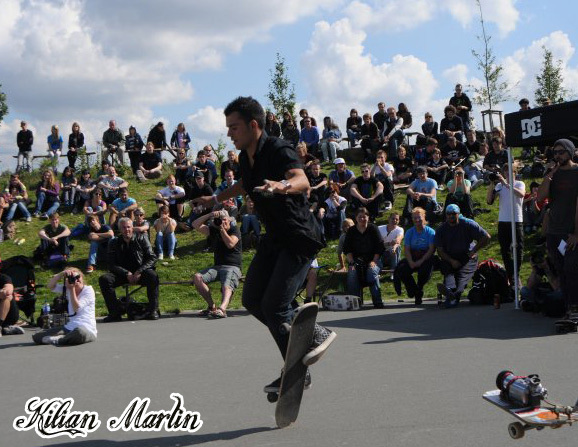 Kilian Martin is by far the best freestyle skater we have seen thus far. Keep up the good work Kilian. 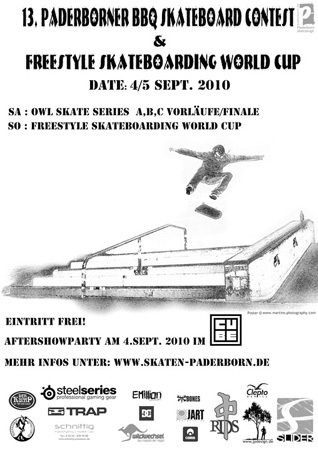 I was happy to read your post on Kilian Martin Street Freestyle Skateboard Rider » Blog Archiv Kilian 1st place WORLD CUP FREESTYLE SKATEBOARDING 2010.